Commander Gennady Padalka and One-Year crew member Mikhail Kornienko are getting ready for the Sunday arrival of a resupply ship. NASA astronaut Scott Kelly worked throughout the day on a variety of advanced microgravity science. Roscosmos, The Russian Federal Space Agency, is counting down to its launch of the ISS Progress 60 (60P) cargo craft at 12:55 a.m. EDT Friday. 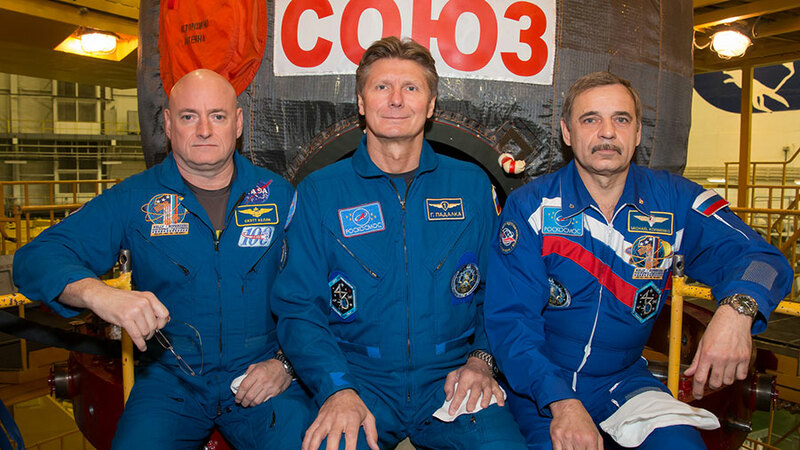 Padalka and Kornienko trained for the approach and docking of 60P scheduled for Sunday at 3:13 a.m. The ISS Progress 60 will deliver more than 3 tons of food, fuel and supplies to the crew. Kelly started Tuesday on botany research exploring how plants sense gravity and how roots grow in space. The One-Year crew member also collected gear from the completed Rodent Research-2 experiment which may be used on future life science studies. This is true Nasa is really great! The fact speaks itself.